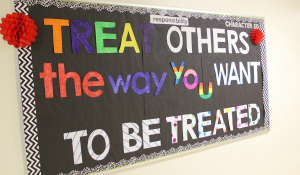 As Dilworth Dragons, we strive to demonstrate our Character Education traits in all areas of our lives. Service Learning projects offer a special opportunity to talk about, practice, and implement these traits in our community. 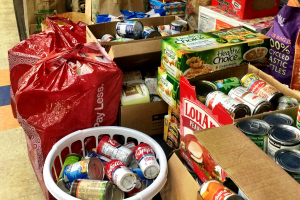 We offer support to our sister school, Briarwood Academy, by organizing a yearly food drive, a hat, mitten and coat drive, as well as providing monthly volunteers. We also support Briarwood by raising money on their behalf to ensure access to better resources. Helping Briarwood demonstrates that Dilworth is a community of caring. 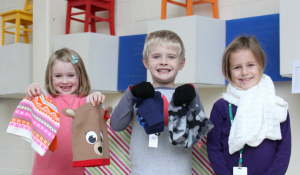 In November, the Kindergarten Dragons have a hat and mitten drive that supports our sister school, Briarwood Elementary. Our Dragons help make sure the students at Briarwood stay warm in the winter. 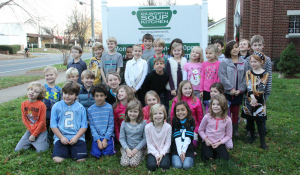 Our 2nd grade Dragons collect needed food items for the Dilworth Soup Kitchen in November. They visit the kitchen one Sunday in November to help set up for the guests. By setting the tables and learning about the soup kitchen, these 2nd graders have a hands-on opportunity to help in their immediate community. February brings the start of our toiletry drive benefitting A Child’s Place which serves homeless families in Charlotte. 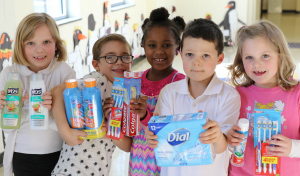 Our 1st grade Dragons lead the charge in collecting soap, shampoo, toothpaste, and other personal hygiene items. 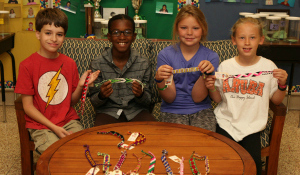 In early-April, following a unit in their Spanish classes, our 3rd grade Dragons participate in the International Pulsera Project, selling handmade Nicaraguan bracelets. Proceeds from the sale support programs that offer long-term solutions to poverty in Nicaragua. 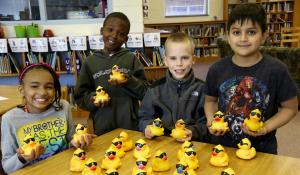 In late-April, our 4th grade Dragons tag ducks for the Kindermourn Hope Floats race. Our fourth graders learn about the services that Kindermourn provides and they help this amazing organization prepare for their annual fundraiser. Dragons in the 5th grade make sandwiches for Urban Ministries. Urban Ministries relies on sandwich donations to provide lunch daily. 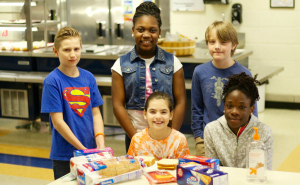 The 5th graders make over 500 sandwiches in the Spring to help provide lunch to those in need.